Now a days every Internet Service Provider (ISP) is promising to deliver high internet speeds like 2 Mbps, 4Mbps and 16 Mbps. But once you opt for the high-speed plan they may start delivering the connection at relatively lower internet speeds. It means you are not getting what you paid for. 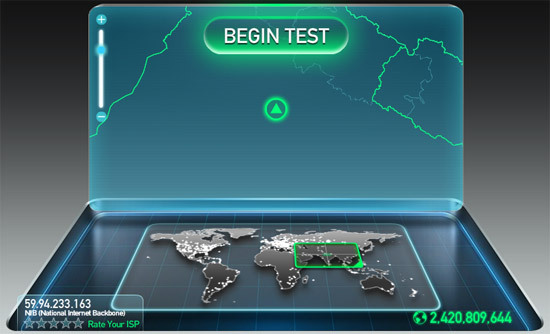 So to test your internet speed, here are 5 best online tools that will check your internet speed. These tools will check your internet connection for download as well as for upload speeds. If you are not getting the speeds as per your connection plan then you can complain about it to your ISP. If you are an Airtel Broadband user then here is a trick to double your internet connection speed. Speedtest is the best tool ever to test your internet connection speed. This tools checks your internet connection for download as well as upload speeds. 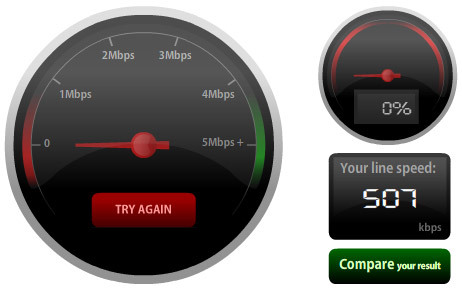 Bandwidth Place Speed Test is simple and easy to use tool to check internet connection speed. You just need to press the Start Test button and it will provide you the results within seconds. It gives download and upload speed results in kbps. Bandwidth Meter is an online tool by CNet which checks your internet connection speed. 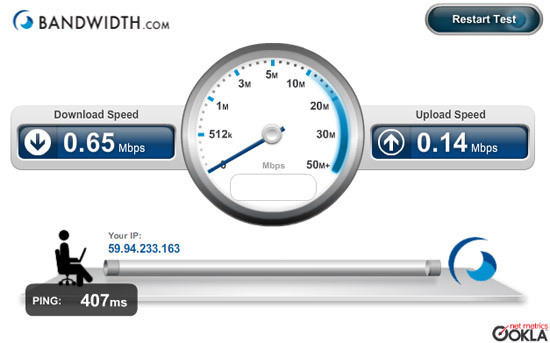 Like Bandwidth Place Speed Test it also shows you the results in kbps or Kilo Bits per Second. You can get the results in Kbps or Kilo Bytes per Second by dividing the result with 8. For example 507 kbps is equal to 63 Kbps. Unlike above two tools it only shows the download speed but not the upload speed. 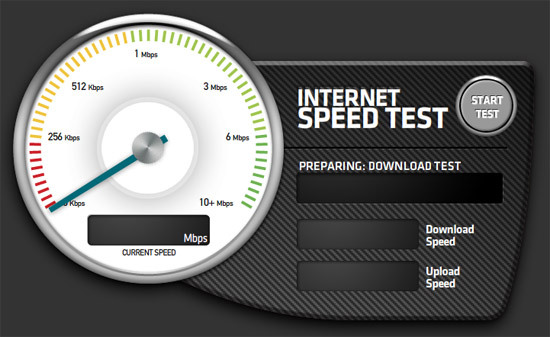 Internet ﻿﻿﻿Speed Test is a free tool by Bandwidth.com which is similar to Speedtest mentioned in the first point. It shows the results in Mbps and provides both download and upload speeds. Simran, Is it really check the internet connection speed or just gives fake results to us ? Great tools. My personal favorite though is the first one because you can select any server you want (or add your own) and it doesn’t only gives you Download and Upload speed but it gives you the Ping too. I always use Speed Test and I think it’s the best one. But I liked the Speed test the most, because of its user friendly and classy appearance and other information like the location and ISP. Speed Test is my favorite too. It always gives the correct results. speedtest.net is my best one. I always use speedtest to test my net speed. Speedtest is one of the best tool for internet speed test i like it . Thanks for sharing these great tools. I tried Speedtest and it worked well. It is very surprising. all the 4 tools are giving uncomfortable result. I feel speedtest is not accurate as it is showing a speed of 1.97 mbps whereas google is not getting loaded. Bandwidth place and Bandwidth.com are giving absolutely same fig whereas that of Speedtest and CNet are varied and more than double of earlier two. looking at actual internet speed of loading of google and our website we feel speedtest and Cnet are not accurate.